Stuart Lowen Quality Butchers and Farm Shop of Minehead, Somerset demonstrating the WEnutbutter Nut Butter Mil in action. 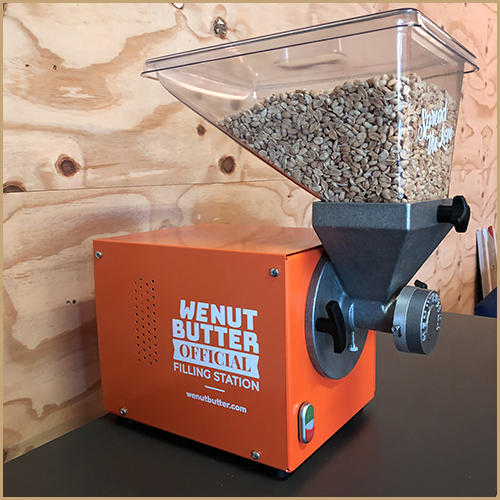 A robust, safe, easy-to-use machine that allows your customers to grind their own jar of freshly roasted peanut butter or alternative nut butter in seconds. 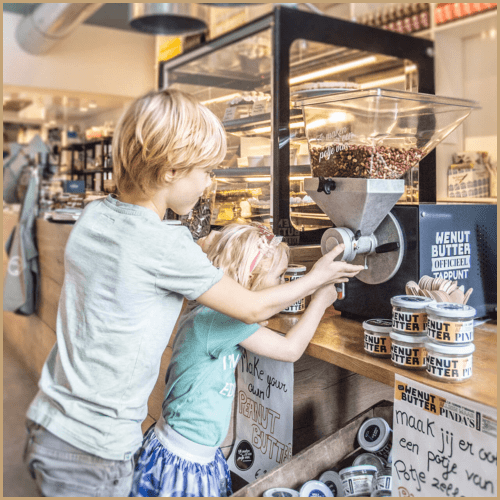 The WEnutbutter nut butter grinder adds real store value by offering a popular, healthy, and fun shopping experience that will ensure many repeat visits and purchases! Appealing to all ages it creates a bit of theatre in the shop that can be enjoyed by kids and grown-up kids alike. 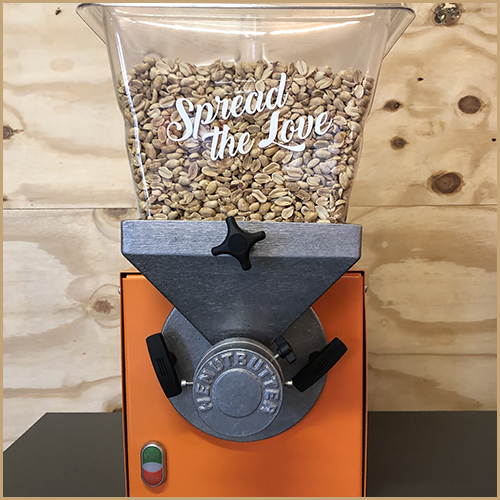 What goes in, comes out: Just fill the hopper with freshly roasted peanuts or other nuts and the customer can grind as much nut butter as they want at the push of a button. Easy to use, easy to clean and built to offer a lifetime of reliable service. 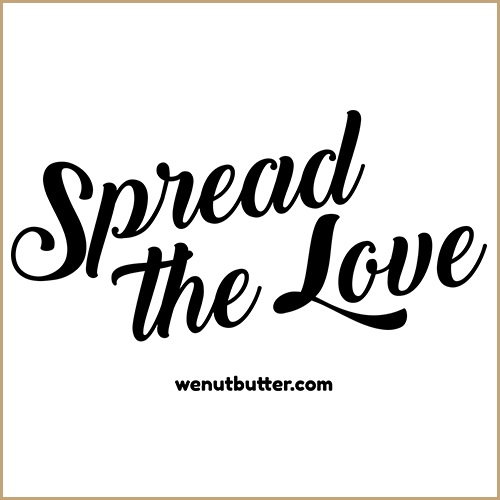 With the WEnutbutter Nut Butter Mill, you can communicate a clear message to your customers. A message of pure, honest and healthy food without any additives. No palm oil or additional oils, E-numbers, sugar, salt or other unnecessary additives. Nothing but 100% pure, fresh roasted peanuts or other nuts. 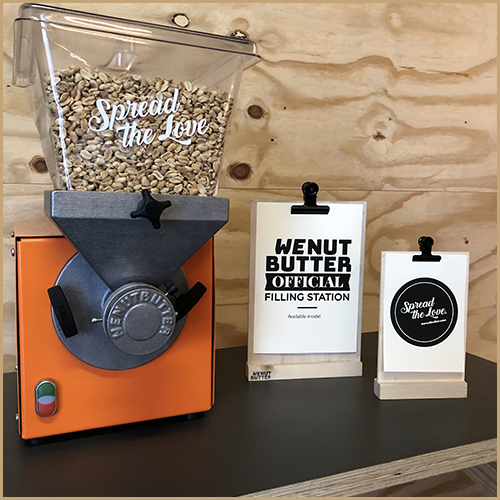 Deliciously fresh peanut butter or nut butter that is prepared on the spot and made with nuts that are roasted fresh to order. 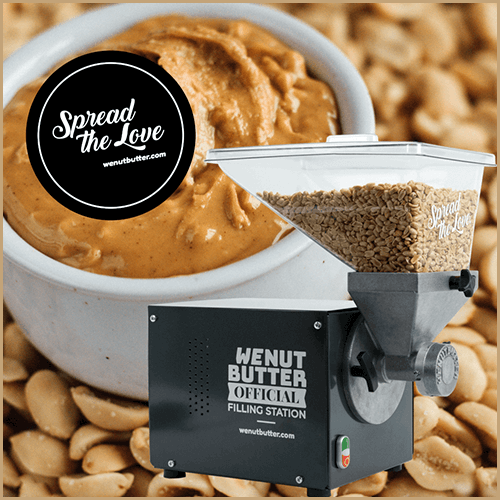 At the press of a button, you can make peanut butter, cashew butter, almond butter, hazelnut butter, walnut butter, chocolate and hazelnut butter, or any other nut butter you can think of. The flavour combinations are endless and it’s also fun to experiment to create signature nut butter unique to your shop. As well as offering Grind Your Own, why not brand your own to advertise your shop? From Windmills to Nut Butter Mills! 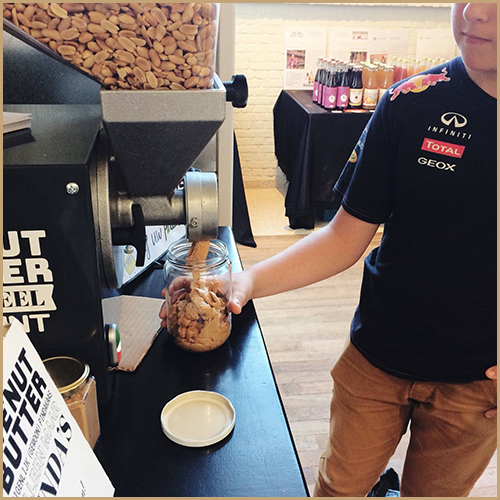 Holland is famous for many things and their love of peanut butter is one of them. 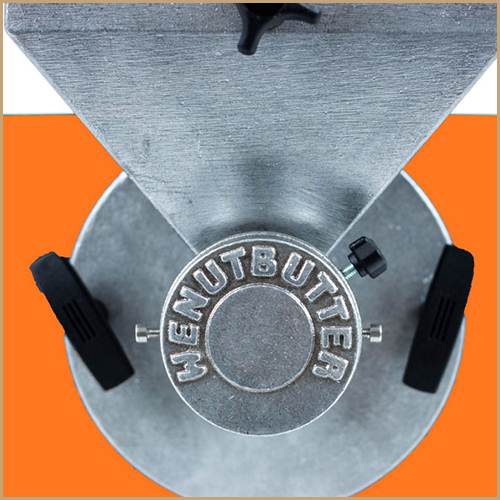 The WEnutbutter grinder is based on a rock-solid design made popular in the USA for many years. So much so that companies such as Whole Foods Market adopted it storewide across America and in their UK stores too. 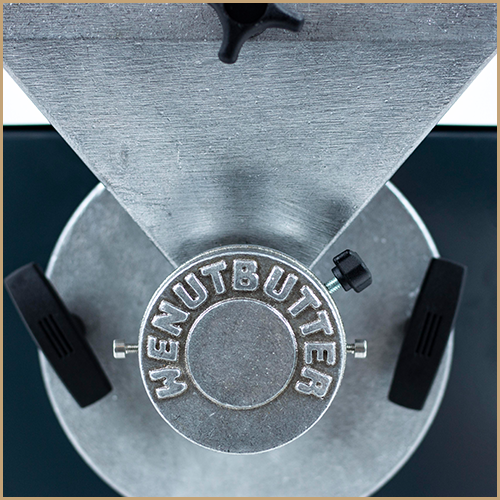 But, whilst the WEnutbutter grinder may look similar on the outside it’s a very different beast on the inside. 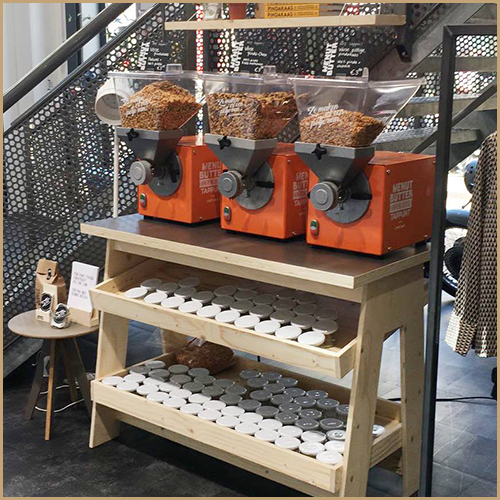 It is hand-assembled in a small factory in Groningen and this machine has been rebuilt and Dutch re-designed specifically for the EU & UK markets. Constructed with a powerful 1.5 HP motor, all metal parts and a BPA-free plastic hopper it offers more durability, reliability and flexibility compared to its USA counterpart. In keeping with WEnutbutter’s desire to contribute to society and a belief in social entrepreneurship. Part of the machine is also being built by people with a distance to the labour market who would otherwise not have easy access to work opportunities. A nut butter mill without nuts is like Romeo without Juliet. 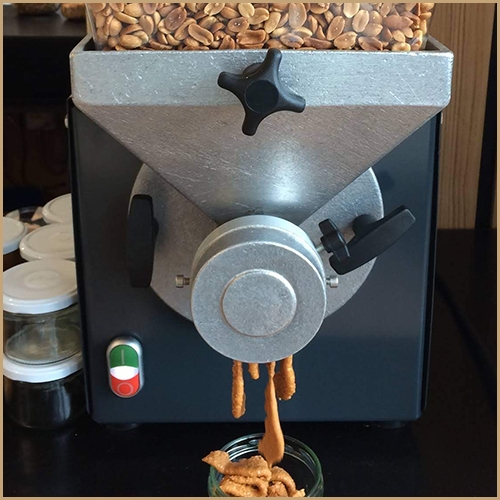 That’s why each machine comes supplied with a complimentary 15kg bag of top quality, fresh roasted Argentian peanuts. You can literally plug and play and get selling straight away and start making a profit. 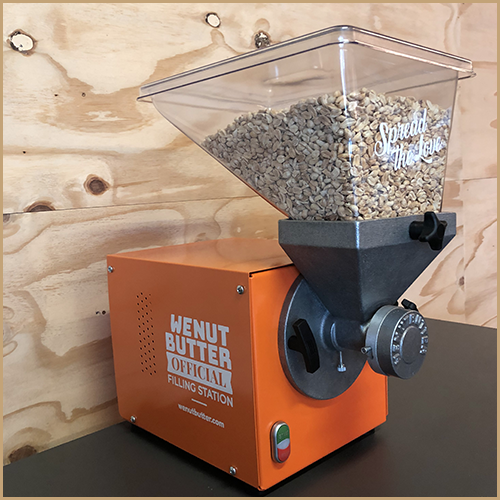 Not only that, but we offer a comprehensive selection of different roasted-to-order nuts and special nut mixes developed with the WEnutbutter grinder in mind and available to order in minimum quantities of 10kg. 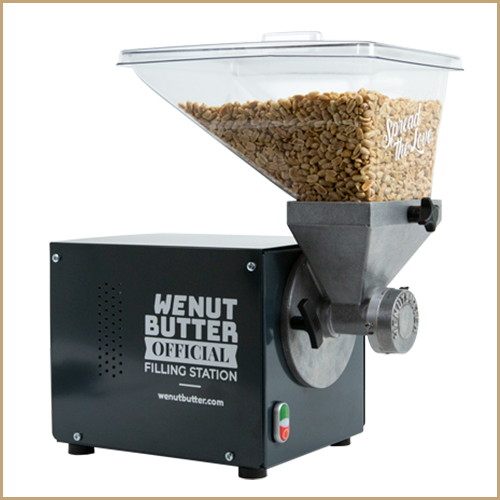 The WEnutbutter nut butter mill is supplied with 2-Year Manufacturer’s Warranty .